Yun Leong looks like he’s shrunk. He’s lost maybe five pounds since December. There are bags under his eyes. He sounds tired. Him. Vui Kong. Her youngest. The pressure on Yun Leong must be overwhelming. No wonder he looks so gaunt. We’re meeting just days before Vui Kong’s hearing before the Court of Appeal. His lawyer’s working round the clock, preparing to challenge Singapore’s mandatory death penalty for drug trafficking. It’s a staggering undertaking – stacks of papers, huge bundles of authorities, hours and hours of research. You wonder if the two brothers understand what’s happening. He laughs – the first time you’ve ever seen him do that. And then he changes the subject. Pulls out a piece of paper from inside his bag. It’s a little surreal, receiving a letter from death row. But the message is upbeat. There isn’t a hint of self-pity. No plea for mercy. Rather, the boy thanks everyone for their generosity and support. They’d as good as given up last year. The family had even made funeral arrangements and were in the midst of saying their final goodbyes. But then the unthinkable happened. 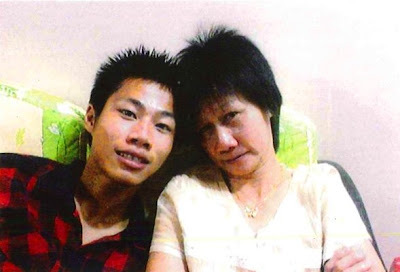 Vui Kong’s lawyer succeeded in getting not just one, but two stays of execution. You wonder what will happen at the next hearing and a knot forms in your throat. Yun Leong senses this. He tells you his brother’s in a good place now. Very calm, very focused. He’s ready to face the worst, but hoping for the best. He’s incredibly strong. Yong Vui Kong’s hearing before the Court of Appeal will take place on the 15th of March, 2010.